Progress to an advanced level of Microsoft Excel 2016 expertise with this great value set of three interactive courses. Work through the Introduction, Intermediate and Advanced courses to develop a MS Excel 2016 skillset that will be useful at work, when running a business and at home. On progression through a total of 98 lessons across three courses you’ll gain an advanced level of Microsoft Excel 2016 skills and understanding. Interactive lessons make learning easy as you get acquainted with the program environment and its key tools, functions and benefits. 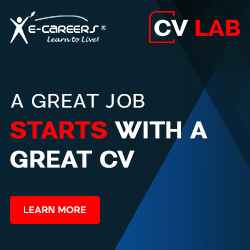 MS Excel is widely used in businesses and organisations, so adding advanced skills in this popular computer program to your CV is sure to boost career prospects. Job-seekers and those seeking promotion will find this course package a worthwhile investment, as will business owners looking to make their operations run as smoothly as possible. Many people also utilise Excel spreadsheets for their home and personal admin. Those looking for a flexible study solution will benefit from the convenience of this online, learn anywhere course. Follow 34 lessons totally approx 17 study hours. Familiarise yourself with MS Excel 2016, its documents and controls. Learn to create tables step by step. Find out how to enter values correctly into the cells. Learn how to set up cell formatting, including conditional formatting. Study the manipulation of each cell and cell range. Learn to work with worksheets and entire files. Discover how to create a chart. Learn to create calculations using basic arithmetic formulas. Follow 35 lessons totally approx 18 study hours. Follow interactive lessons focused mainly on performing calculations. Broaden your basic knowledge by the application of logical and text functions. Understand the principles of referencing to the values in other cells. Learn to fill cells with series of data. Familiarise yourself with the advanced options of sorting and filtering data. Study searching for specific values in extensive tables. Examine how to split longer text entries in tables into individual data placed into several columns. Follow 29 lessons totally approx 15 study hours. Focus on the creation of charts and automation of the work in the program using macros. Also examine the insertion of various graphical elements into worksheets i.e. shapes or SmartArt graphics. Learn to prepare a table or entire worksheet before printing. Familiarise yourself with the options of protecting and sharing the workbook content. Look at the usage of macros, including their creation, editing and the options of macro security. Study at your own pace, whenever and wherever is convenient. Benefit from great value for money with this introductory, intermediate and advanced course package. Boost your IT skills with all you need to know about MS Excel 2016. Add practical Excel skills to your CV – useful in many jobs and careers. A fantastic investment for small business owners. Excel is a great tool for keeping track of household finances. Technical support available if needed. Have access to the course content for 12 months. Ensure that you excel in all aspects of Microsoft Excel 2016 with this great value three course package. Thank you for requesting our demo course on 'MS Excel 2016 – Set of 3 Interactive Courses'.